You can imagine the horror when we heard predictions that the world is heading towards a major shortage of chocolate. 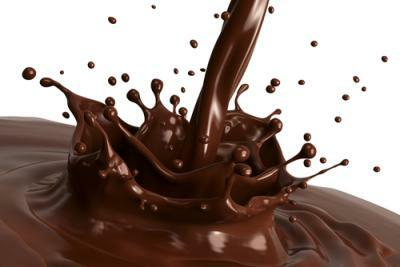 According to Barry Callebaut, the world's largest chocolate producer and from Mars Inc. (the producer of M&Ms), demand for cocoa is expected to outweigh supply by roughly 1mm metric tons in 5Ys. If these predictions are true, that shortfall could rise to 2mm tons by 2030. Factors such as drought, disease and the number of farmers abandoning cacao crops for more profitable commodities are all expected to take a toll on production. This creates significant concerns among the world's candy consumers and makers, not to mention Santa Claus, the Easter Bunny and millions of children. The idea that a sizeable chunk of the world's chocolate supply could simply disappear made us think about predictions that cash may one day vanish completely in the banking industry. In the wake of a world increasingly reliant upon electronic payments, it is something to consider. Credit and debit cards, wire transfers, online payment systems (such as PayPal or Apple Pay) and even emerging currency alternatives like Bitcoin have attracted interest and people are using cold, hard cash less than ever before. Cash is king no more, which is a reality felt by community banks across the country. The result has been lower customer traffic as some have entirely eliminated their use of tellers and in-person visits. Given less cash coming into banks, there is less need for tellers to handle and physically process money. As such, banks are being forced to re-examine how they process the cash that does come in. Many banks have reduced the number of tellers they employ and replaced many human functions with automated cash handling equipment such as coin counting machines, coin rolling dispensers and virtual teller drawers. In other cases, banks are simply eliminating the cash counting portion of tellers' jobs by using automated machines similar to those found in some grocery and drug store chains to take in and dispense cash. This shift has pushed tellers into the role of customer service reps with a broader base of knowledge. More now focus on answering customers' questions and selling other services. One benefit of using automated machines is that they also reduce errors and theft, which is good. Further, automated machines speed up the deposit and cash dispensing processes, giving tellers more time to talk to customers and cross sell services. The diminishing use of cash has also translated to the ability for banks to run their operations using less real estate. Space once needed for multiple tellers can now be used for other functions and many banks have begun eliminating drive-through windows, or replacing teller-operated windows with ATMs. Given less overall foot traffic, banks have also eliminated lanes for drive-up windows and reduced the size of parking lots. For the moment, however, the hype around a world without physical cash does not meet reality. In fact, despite the rapid adoption of electronic payment methods, many people still prefer human interaction and handling physical cash. No matter how many advances are made for electronic payments, there are times you still just need cash. After all, if cash were to disappear completely, what would grandparents put into birthday cards for the little ones? Chocolate? Treasury yields fell 5bps as the unexpected drop in average hourly earnings eclipsed the lower unemployment rate. Yields are up 1bp ahead of the 3Y Treasury auction. 1) Guaranty Bank & Trust ($1.3B, TX) will acquire Preston State Bank ($122mm, TX) for an undisclosed amount. 2) The First National Bank of McGregor ($149mm, TX) will acquire Oglesby State Bank ($14mm, TX) for an undisclosed amount. Business Bank (WA) has changed its name to SaviBank after shedding an FDIC C&D. The bank said that the brand change will help it differentiate itself from other banks that are in the region. Congress has voted to extend the Terrorism Risk Insurance Act for 5Ys. The insurance would kick in when a terrorist attack caused $200mm or more in damage. Bank of America said they plan to close drive through windows at various banking locations given low customer usage due to changes in consumer behaviors over the years (much more activity now online and mobile). A survey by KPMG of 100 CEOs and senior executives of regional and community banks finds the top 5 areas identified as the biggest drivers of revenue growth in the next 1Y to 3Ys are: asset and wealth management (32%), M&A activity (28%), cross selling services (28%), new market segments (25%) and credit cards (24%). A survey by KPMG of 100 CEOs and senior executives of regional and community banks finds the percentage indicating the likelihood their bank would be involved in a merger or acquisition in the next year are: somewhat likely to be a buyer (26% vs. only 7% who said they were somewhat likely to be a seller); very likely to be a buyer (23% vs. only 14% who said they were very likely to be a seller); and no plans for either (23%). Banks should double check loan portfolios for exposure to Macy's (closing 14 stores of 790 or 2%); JC Penney (closing 40 stores of 1,060 or 4%) and Wet Seal (closing 338 of 511 stores or 66%). JPMorgan projects the Fed will raise rates in June given a declining unemployment rate.